WHO NEEDS TO CHANGE TO SEE MORE WOMEN IN WHITEWATER? ~ By Laura Oakley | DBP MAGAZINE ONLINE The World's Best Free Whitewater Publication. 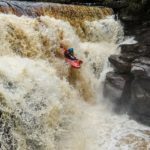 Women and men on white water, is there a difference? Should we be supporting more women to be on the rivers? Are women at a disadvantage in a commercial environment? Should something be changed, if so what? There are some interesting articles and opinions about women in white water. 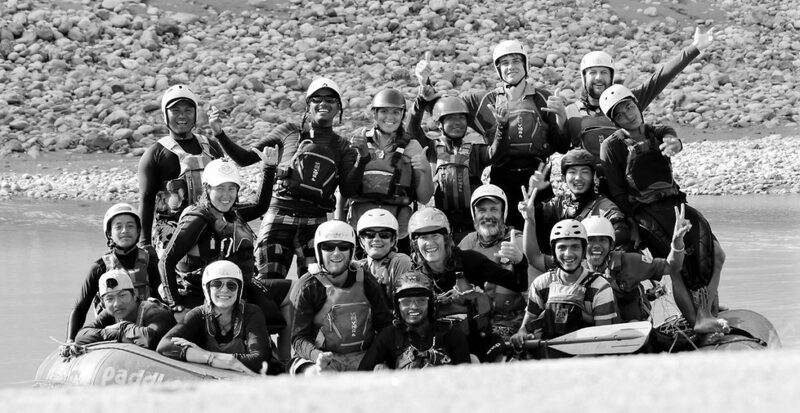 As a white water women I have had a number of years to explore my thoughts, to look from different perspectives and be part of a number of commercial rafting and kayaking teams across the world. I made it in the river world, I am still here and intend to be here a long time yet. I’m not the worst paddler in the world nor the best. 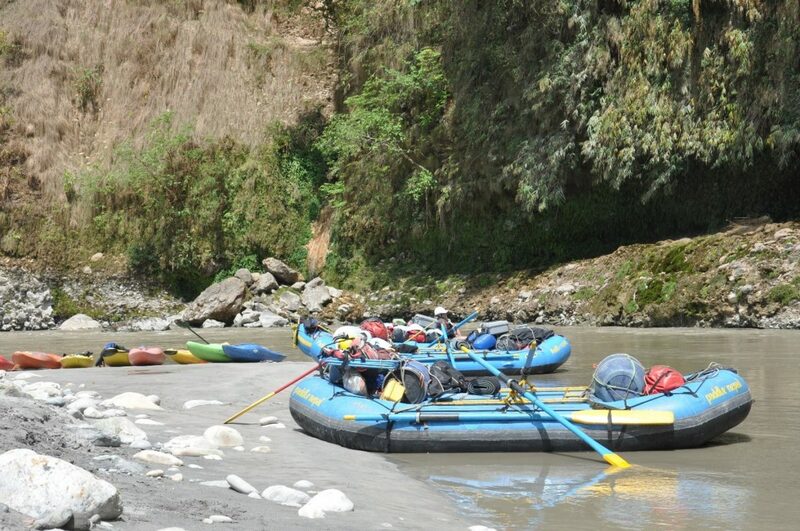 I have commercially raft guided a number of rivers in Australia including the Nymboida and Tully Rivers and commercially kayaked in Australia, Nepal, Peru, Canada and enjoyed personal boating in New Zealand. I am a passionate advocate for empowering people who want to learn white water and believe, regardless of gender or natural ability there is value in anyone who wants to learn. I teach kayaking, rafting, and I am international swift water rescue instructor. I am also the Co-founder of Join Adventures, an innovative team based in Nepal that that works with the local company Paddle Nepal to runs month long skills developments trips in kayaking for paddlers of every level and uses profits to give free paddling courses for Nepali paddlers. During my early days of learning there was some really tough lessons. I failed my first attempt at the Tully River (technical grade 4 river in Queensland Australia) with a spectacularly terrible run. Determined to guide that river I set about improving my skills. 4 months before my return to the Tully 18 months later, I was training at the gym 5 days a week while working the Nymboida River. To practice flip drills on my days off I would drag a boat onto a trailer, drive it to a river and do up to 20 flip drills a session, eventually with rocks in my throw bags to make it harder. I’d pulley the raft back onto the trailer and then again pulley it back on top of the stack. Now that sounds like a lot of work to get a job. But the honest truth is that’s what I needed to do to make up my weakness. Some skills are not optional, and rescue skills are one of them. When I returned to the Tully I made it easily through assessments, did my flip drills and guided a season. While I was working on my weaknesses, my strengths where also improving. On other rivers I moved into Trip Leader roles quickly. I designed rafting trips, managed clients, could run logistics of basic expeditions with ease and was good at knots and rope systems. I took longer to learn to guide than many of my male friends and co-workers, I am not as physically strong, but I did get it and brought with me a stack of complementary skills. Along this journey there were team members that would stand on the river banks and yell abuse at me, corner me in the shed to bully me and one who would sexually harass me. There was the people who enjoyed to watch me struggle, who wouldn’t take me in their rafts to teach me, and there was those who didn’t believe I could or should make it. They might have given me a thicker skin but they didn’t improve my boating. They are the minority and they aimed it at many a lad as well. Yes sadly those types of people are often the loudest but if you focus on those people you give them power, and if you’re not careful you become like them through conditioning. Now we can continue to winge about all the obstacles or obnoxious people we encounter but I’m going to get bored writing and you are certainly going to get bored reading. The much more important facts are all the amazing mentors and co workers from across the world. Mentors who taught me to raft and patiently explained and demonstrated simple concepts until I got it. Super experienced international senior guides who told me I could make it, that it’s not a competition between men and women but about finding your finesse and own strengths to offer. The senior guide who sat down with me when I failed my first attempt at the Tully after weeks and weeks of training and told me the river has been there many years and would be there in years to come and would still be there when I was ready to guide it. He gave me the time it took to gain my skills my way. When I learnt to kayak I was so terrified of kayaking that I would sit by the river and cry when no one was looking. To get that damn kayak roll, well it was a bit like the effort that went into flip drips on the raft. I stared kayaking because it scared me, for the challenge. I keep kayaking for the love of the people it has introduced me to. It was the paddlers who would take me out time and time again, who would chase my boat when I swam and who would lead me down the rapids, who sealed my life of kayaking that I love today. There was brilliant kayaking instructors who would take me to the side and tell me that I could make it, to celebrate whatever level I was, who taught me the value of just being happy and having fun. Why would I shown myself is such an average or poor light as a learner paddler? Well, because the truth is, I was a pretty average learner. That simple fact is only a small part of a bigger picture and just like any paddler I had a whole world of other strengths that I could pull from and in the long run combine together to create my paddling career my way. All the kind and generous people on my journey empowered and inspired me, they taught me that one person can make a difference to a career and to someone’s paddling. Those people taught me to look for strengths and to see weakness as just something to work on. Where has that all brought me today? To a team who inspires, empowers, and supports not only each other but people of all paddling skills, abilities, gender, sexual preference, age and race. Operating international kayaking trips that welcome everyone who want to join us. I am Australian, but I found my team in Nepal. For me now, there is no other team I would rather paddle with, and my hearts paddling home is on the river in Nepal with them. Years ago, without much question they took me kayaking, lead me when I needed leading, made me laugh and believe in myself. Now, years down the track with our belief of Paying Forward, together we created Join Adventures. We use ours strengths as a team to share international kayaking adventures with people of every level. Every single person has strengths and weakness, we combine our strengths and support each other’s weakness. In doing so we becomes stronger individually, as a team and as a community. I couldn’t feel more privileged or proud to paddle this life with them. My journey of paddling has brought me to the beliefs that it is not just about the paddling, long term it’s about the people. Rivers are beautiful places, white water is loads of fun, but ultimately it is your connections or lack of them that will see you stay or leave. Regardless if you are male or female you can make it on the river, you will have challenges, you will clash with people, some will make it hard, but many will be there to support you. Instead of thinking of men and women as separate or different, could there be a better way? What if as individuals we focused on knowing ourselves. Knowing the skills we need to improve, knowing what we need to love the paddling life, knowing where we fit in, and being peaceful with letting go of the places and teams we don’t fit. What if we taught people that they are valuable to the river community? What if we encouraged people to follow their dreams, accept where they are now and empower them from there? What if, we choose to be grateful for all the lessons, the difficult and the fun ones? What if, we chose to give compliments when people get it right and when someone gets it wrong, we give them our time to encourage and show them how to do it better? What if as individuals we acknowledge our massive power to create change, and we dedicate ourselves to being the type of person we all want to paddle with. A person of skill, of compassion, of understanding, of giving and of teaching those who are learning. Being that person who is brave enough to stand against the crowd if it is right to do so and not live in fear of losing your place in hierarchies. Both women and men like to be treated with respect and kindness. Some people do not know how to empower others on the river, nor the value of it, or what that picture even looks like. Those people need others to show them how. What if we stop worrying about who else to change and change ourselves, and instead learn to walk that path ourselves then lead the way. For all of us success is possible, it is just a matter of time and learning the steps you need. There are many rivers in the world, many teams, and many ways people interact. One team on one river is not the rest of the world. Try different places, different teachers, different rivers, different teams, and different skills. Be in places that make you happy and where you can also give your strengths. Focus on this. You cannot change other people’s behaviour by demand or by force. You can and you will teach and inspire by your own actions and ability to remain centred in your own integrity. Accept the challenge of not only being a river person, but being a river person who empowers, inspires, and who enables many to love rivers and a life of white water. Over time the industry will become what we make it. 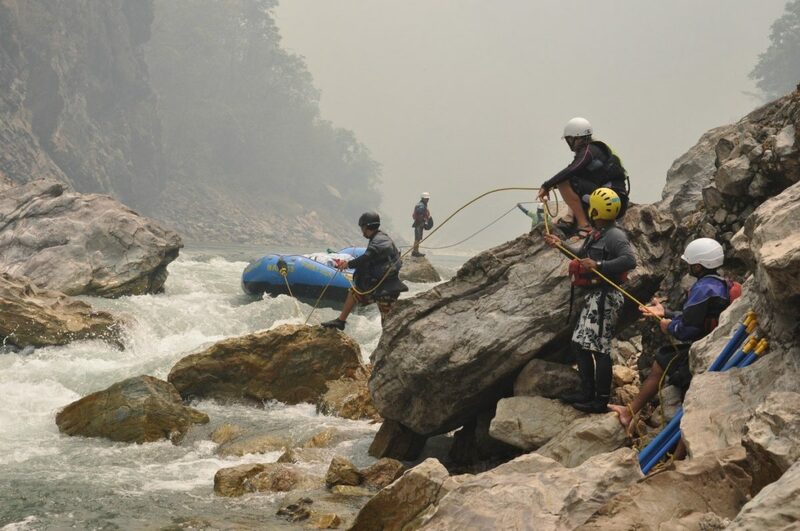 Photo: Join Adventures instructor and guide team working on a portage, Karnali River, Nepal. About the Author: Laura has been guiding since 2001. Initially guiding in Australia´s outback on horses and camel; and completing that life chapter with a northern crossing of the Simpson Desert. In 2010 Laura’s passion moved to white water seeing her experience extend across Australia, Peru, Canada, New Zealand, and Nepal. Dedicated to kayaking, rafting, and an International Swift Water Rescue Instructor Laura believes anyone can learn to paddle and is super passionate about creating supportive paddling teams. The people who have given to Laura through the adventures of her own life inspired and empowered the creating of Join Adventures and the team’s foundation belief in ‘Paying forward’. I’ve been guiding rivers all over the world since 1976, when not only the first women guides, but really the first river guiding of any sort began. I’ve seen a lot of river guides come and go, and often they fit into 2 basic stereotypes: those that love rivers, adventure wilderness, and each other, and then there’s the egos. Whitewater and big adventure attracts both for different reasons, and that part never seems to change wherever you are. Having said that, I also say: “Any monkey can row a boat” (I mostly row rather than paddle, on my dory in the Grand Canyon). What I mean by that is its not all about strength and athleticism. Its about how to handle an injury, flip or other emergency in the middle of nowhere with a bunch of clients standing around wide-eyed and scared. Its about how you handle yourself and your team when (not if) some of your large and in-charge pards start butting heads in the middle of some of the worst rapids or weather you’ve ever seen. Its about how to cope with being exhausted, dehydrated, frozen or scared stiff and worse, whilst staying even-keeled. Poise under fire. Showing the way with aplomb when everyone else is freaking. You get the message. I count some of the women I’ve worked with over the years, starting with the ones that broke the froth ceiling back in the 70’s, and most lately Laura Oakley herself, as some of the best guides on earth. The infamous meatheads on the Tully don’t even come close, and never will. Laura and guides like her will be showing the way downstream long after the testosterone-poisoned have flipped their last hamburger. Most of all, their legends will inspire future guides of all stripes, even if the young-guns never even knew their names. Beautifully written Laura, I love everything about it and you outlook on humans. Thank you for sharing your journey with us ? All so true!! What a beautifully written piece Laura! You are forever inspiring! WHY ENCOURAGING FEMALES INTO RAFTING IS A TERRIBLE IDEA. by AdamPiggott. - DBP MAGAZINE ONLINE The World's Best Free Whitewater Publication.